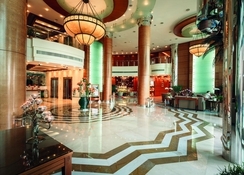 The Roda Al Murooj Downtown Dubai is a 5-star hotel located opposite the Burj Khalifa and the Dubai Mall. Featuring lush gardens, spectacular swimming pools, this swanky new hotel is well suited for families. The rooms at this hotel are luxurious and offer great views of the city. Room amenities include sitting area, working desk, flat screen TV, mini bar and much more. Dine in any of the six outstanding restaurants at the hotel. Cuisines offered at these remarkable restaurants range from Arabic to Indian and Italian to Japanese. Also served here are sandwiches, salads along with daily specials. Fitness enthusiasts can make good use of the Flow Health Club & Wellness Centre fitted with a fully equipped and functional gym, a hot tub and sauna. The complex also benefits from an on-site beauty salon, babysitting services, steam room and tennis courts. The property is just 10 minutes away from the Dubai International Airport and adjacent to Downtown Dubai and Dubai International Financial Centre, 3 minutes from the Convention Centre. 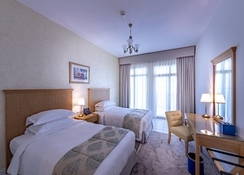 The Roda Al Murooj Downtown Dubai offers over 250 spacious guestrooms and suites, 140 deluxe apartments and 27 serviced offices along with a large range of facilities suitable for both leisure and business guests. 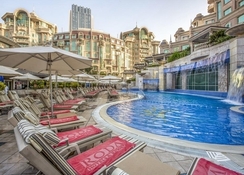 Set in the heart of the city, the luxurious hotel soundproofed rooms provide exceptional views of the busy streets and towering skyscrapers. Families can choose from a range of room types – Roda Discovery Room, Roda Discovery Premium Room, Classic Suite, Deluxe Two Bedroom Suite, Premium Two Bedroom Suite and Presidential Suite. Business travellers will particularly enjoy the apartments and hotel-styled accommodation. 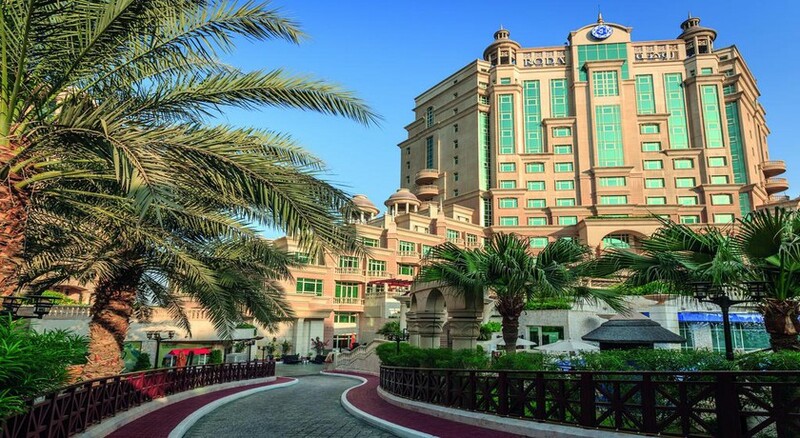 The hotel features five restaurants – Pergolas, Double Decker, Circle Lobby Café, Ojos Café, Anees and Tabule. Whatever your mood or taste, the hotel has a restaurant ready to serve. At the Roda Al Murooj Downtown Dubai Hotel you are treated to a unique dining experience as each restaurant has its own theme set to unrivalled cuisine offerings. Chill out at the snack bar that serves bites throughout the day. Evening drinks can be enjoyed at the lobby bar. A variety of activities are provided by the hotel such as billiards, table tennis and a game room. At Roda Al Murooj Downtown Dubai recreational amenities include a steam room, massages, a spa, a sun terrace and a sauna. Guests who wish to be active on holiday can enjoy activities such as exercise in the fitness room, aerobics and tennis. The hotel requires all guests to provide a deposit on arrival. City /Tourist tax is payable locally.